This webinar reviewed the basic information about viral hepatitis with a focus on Hepatitis C, that everyone should be aware of. This webinar explored the practices that may place people at risk for viral hepatitis transmission and identify preventive measures and harm reduction strategies to reduce their risk. Screening recommendations and key considerations for care and treatment were addressed. Join us in this webinar where the Office of Minority Health Resource Center (OMHRC), a nationwide service of the HHS office of Minority Health, has been invited by the Latino Commission on AIDS to present on OMHRC’s Efforts Around Viral Hepatitis C among Hispanics/Latinos . This webinar will present current data available on hepatitis, OMHRC’s recent projects and a hepatitis curriculum for community health workers in Spanish currently in development. The current urgency in behavioral health care is the opioid crisis in the US. 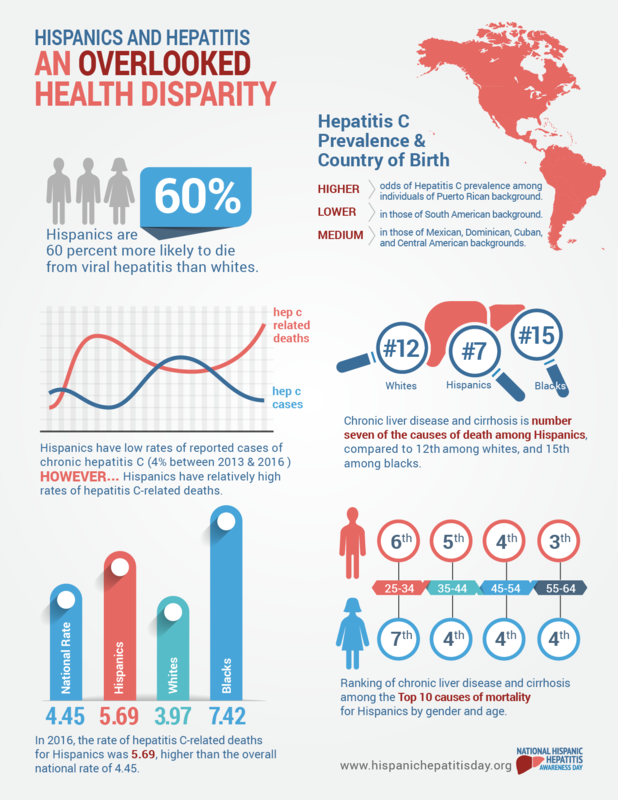 Unfortunately, not enough is being said about the consequent increased rates of hepatitis C (HCV) infections and its disproportionate impact on the Latino and Hispanic population, a traditionally underrepresented community in research and data collecting. Although injection drug use is the most efficient and prevalent form of HCV transmission, other risk groups include Latino MSMs, Hispanic baby boomers, and those living with or at risk for HIV. This webinar will discuss how the opioid epidemic has inflated rates of hepatitis C infections amongst Latino persons. Content will provide a brief overview of HCV, the need to address inequitable access to screening, diagnosis and linkage to health care, and will further inform on effective strategies to address hepatitis C with the Latino and Hispanic population. The National Viral Hepatitis Action Plan 2017-2020 (Action Plan) is a new phase in the fight against viral hepatitis in the United States. The updated plan outlines four major goals, strategies to achieve those goals, and indicators to help track progress between now and 2020. This webinar will walk participants through the Action Plan, discuss new emerging issues related to the high incidences in Viral Hepatitis and introduce a tool designed to conduct strategic planning efforts for Hepatitis B and/or Hepatitis C (HCV). The Webinar will review important facts about Viral Hepatitis, focusing more specifically on Hepatitis C. We will provide an overview in terms of the “WHY” we are highlighting the topic. We will discuss the consequences this infectious inflammatory process and more than a presentation on epidemiology, signs and symptoms and treatment, the presenter will explain how Viral Hepatitis causes acute and chronic inflammation, leading to morbidity and mortality. Araceli Quinones speaks about her experience of having been diagnosed with hepatitis, treatment experiences and cure. 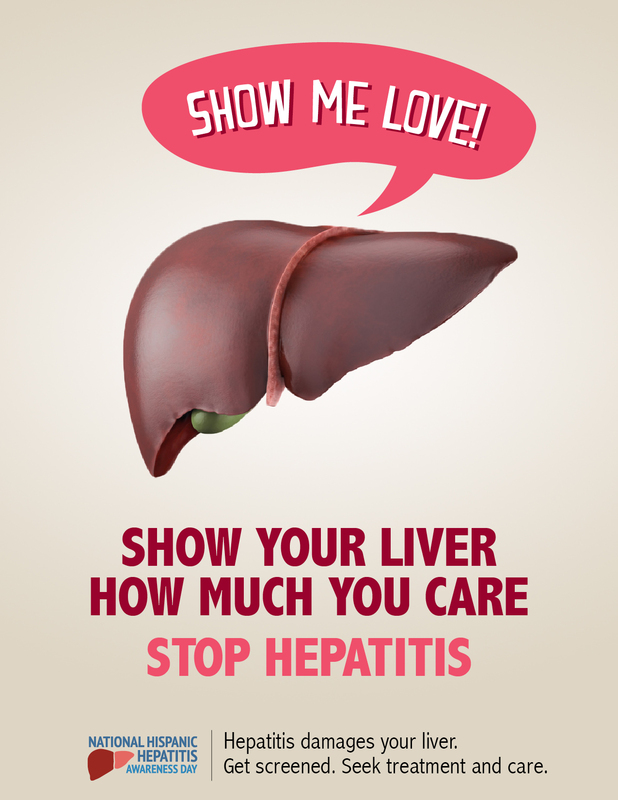 Do you or someone you know have hepatitis? This is a first-hand opportunity to ask questions and chat with Aracelis.